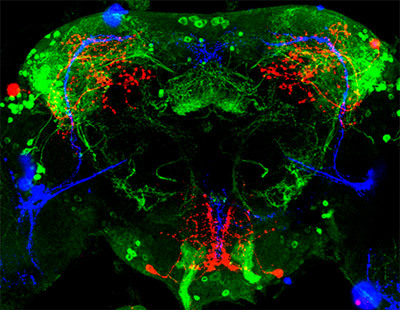 This image, taken with a confocal microscope, shows how time-of-day information flows through the fruit fly brain. Clock neurons (stained in blue) communicate with leucokinin (LK) neurons (stained in red at the top left, top right and bottom middle), which, in turn, signal to leucokinin receptor (LK-R) neurons (stained in green). 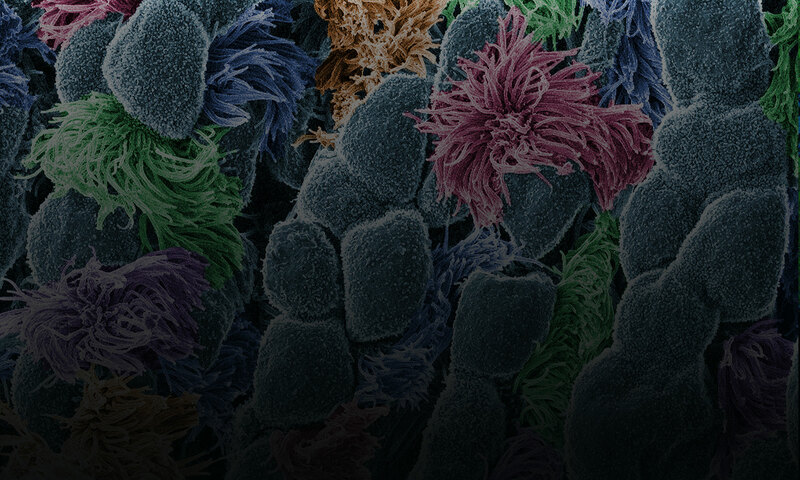 This circuit helps regulate daily activity in the fly. Credit: Matthieu Cavey and Justin Blau, New York University. Feeling sleepy and dazed after the switch to daylight savings time this weekend? Your internal clocks are probably a little off and need some time to adjust. 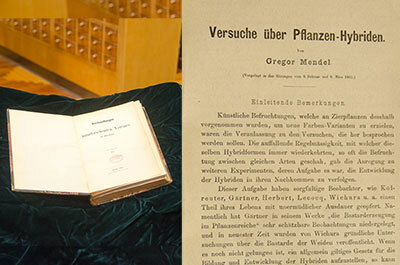 An original edition of Gregor Mendel’s 1866 publication, “Experiments in Plant Hybridization,” housed in NIH’s National Library of Medicine. Credit: Alisa Machalek. This year marks the 150th anniversary of Gregor Mendel’s publication that—after sitting ignored for a few decades—helped launch the field of modern genetics. Mendel didn’t know about DNA. But after painstakingly cross-fertilizing tens of thousands of pea plants over the course of 8 years, this Austrian monk came very close to describing genes. By picking a species with a handful of visible characteristics that occur in two easily identifiable forms, Mendel was able to pinpoint what he called “factors.” These factors determine traits like a pea’s shape or color, for instance, and are passed down from parents to offspring. He also observed that factors can be dominant or recessive.